There are a lot of different opinions out there regarding the value of learning to read standard music notation for a guitarist. I’ve briefly talked about my opinion of this topic elsewhere on my website, but I thought it deserves a more thorough treatment since it’s a somewhat complex issue. At this point, I’ve done a lot of playing and performing in different settings. From bashing out sloppy hard rock music with my friends as a teenager to playing jazz and classical music at the professional level at festivals, weddings, and corporate events. I’ve been to music school, played in a jazz big band, and a guitar orchestra. I’ve been in jam bands, rock bands, blues bands, and improv groups. Throughout all of this, I’ve seen situations where being able to read music well was important. I’ve been in plenty of other situations where it was irrelevant. As a result, there are certain cases where I think it is important for a student to learn or improve on reading music. However, for most of my students I don’t think it is a worthwhile thing to pursue in light of all the other things there are to work on in being a good guitarist. Some people tend to think that you need to know how to read music in order to understand the system of music, learn theory and the fundamentals of harmony, and know your instrument on a technical level. This really isn’t true, though. It’s certainly possible to learn all of those things, including the notes on the fret board, without knowing how to read a piece of sheet music. The guitar is somewhat different than many other instruments. 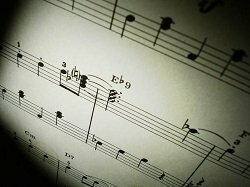 Because of its history and connection with styles of music that evolved through an oral (rather than written) tradition, reading sheet music in standard notation is not as traditionally established in the methods used for learning and teaching the instrument. So, in this article I’ll outline cases where it is and is not necessary to learn how to read music. Let’s look at each one of these situations and see why it is important to be able to read music for them. Being able to read a jazz chart (or lead sheet) is an important part of playing jazz, even as a non-professional. A lead sheet is a chart that outlines the basic chord progression and melody of a song. The chords are written using chord symbols, while the melody is written on a staff in music notation underneath the chords. Jazz musicians often learn tunes using lead sheets, usually from collections of lead sheets for jazz standards called fake books. They are also used at gigs or informal jam sessions when a tune is called that not everyone knows. Players who don’t know the tune that has been called will read it from the lead sheet that they have for it. So, being able to read these charts is an important part of being able to participate in this style of music. Classical music in general has always been a style of music with a written tradition. While many other styles of music today evolved from oral traditions (more about this below), classical music was always learned and passed along by way of notes written on paper. Classical guitar music is no exception, and as a result today there are many transcriptions of classical guitar music that can only be found in standard notation. There are some collections out there that are in tab format, but they are in the minority. In order for a classical guitarist at any level to have access to most of the music out there, they have to know how to read standard notation. Sometimes I have a middle or high school aged student who wants to get involved with their school band in some way: the orchestra, jazz band, or pit band. For all of these, they’ll probably receive the parts they need to play written in standard music notation, so it’s good for them to know how to read it. Often just a very basic reading ability on the first 4 frets is enough to get by in these situations. Being a good reader is definitely important if you intend to go to any kind of music school. Between playing in ensembles, theory and ear training class, and your private lessons, you’re going to get a lot of music thrown at you. The better reader you are, the easier time you’ll have in general while you’re at school. There are many different types of professional musician. There are some who form a rock band that plays original music that makes it big, and goes on to tour constantly. Reading ability often isn’t required for this type of professional musician. Then there is the more ordinary professional musician who makes a living by taking any and every paying gig they can get. The will play in many different groups, fill in for others when needed, and play in a variety of settings. Often they’ll have very little time to learn or rehearse the music they are going to play. For this type of professional musician, having a decent reading ability is important simply because it is a skill that makes them more versatile. Sometimes they might not need it, but they’ll have it if they do come into a situation where it’s needed. If you want to be able to play styles of music like rock, blues, folk, country, r&b, soul, or any other sub genre within those styles, knowing how to read music is usually not important. These are all styles of music that initially evolved from blues and traditional folk music. The people who originally played and passed along these styles of music usually did so though an oral tradition. They would jam and play with each other and, along the way, learn new songs and other aspects of the style first hand from their peers. Families and friends would play music together as a leisure activity. People new to their respective instruments would learn new songs and gain greater insight on how to play through these informal gatherings. At higher levels, people who played professionally would also socialize and jam with one another, and spread knowledge that way. More often than not, people playing in a more professional group would come into that group already having a repertoire of the standard songs in the style that they played. Any other songs would be learned first-hand from other people in the group. This tradition continued throughout the years even as traditional folk and blues started to transform into rock, country, and soul/r&b. As a result, most of the musicians who played on the records of the legendary artists of these styles didn’t read music. They were still very talented, and knew a lot about music itself and how to produce different sounds on their instrument, but most of them wouldn’t have been able to read a piece of sheet music if it were put in front of them. This tradition continues to influence the way that guitarists in these styles learn to play. Many of the players in today’s rock, country and r&b groups don’t know how to read music. Even if they do know how to read, it’s likely not a skill that they’re called upon to use very much in what they do. Even if you have serious aspirations of becoming a rock guitarist and making it in a band that tours and becomes successful, learning to read music isn’t a skill you should prioritize. It would be more efficient to spend your time working on your technique, writing and recording your own music, and learning the fundamentals of rhythm and harmony. Many of my students are learning the guitar just as a fun hobby, and have no serious aspirations of becoming a pro or playing in a band. In this case, I also feel that learning to read music isn’t relevant (unless they are interested in jazz or classical guitar, of course) to their goals. For many of the same reasons already described, learning to read isn’t going to bring them any closer to having a satisfying experience playing the guitar. Instead, learning chords and the basics of rhythm, some simple improvisation concepts, and working on a repertoire of songs and the technique to play them effectively is a much better use of practice time. So, to sum things up I think it’s worth thinking about what you want to achieve on the guitar. If your goals in music will benefit from learning to read music then, by all means, make reading a regular part of your practice routine. On the other hand, if it looks like reading isn’t an important thing to know how to do, then continue to work on things that will help you with your goals and don’t feel bad about not learning how to read. Posted in General Advice and tagged Classical, Expectations, Jazz, Reading Music, Rock.